SCOTT Morrison will give the green light to the multibillion-dollar Snowy Mountains hydro scheme ­expansion, pumping $1.38 billion into the project. The Daily Telegraph can reveal that independent analysis has forecast Snowy 2.0 will shave up to 10 per cent off wholesale power prices as well as shore up NSW energy supply. The massive development, which involves building new tunnels and pumps to recycle dam water, will be able to power 500,000 homes during peak demand. 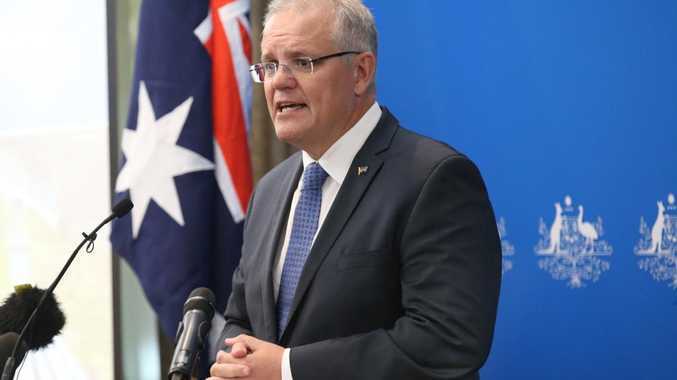 It comes off the back of Mr Morrison's announcement on Monday that the Coalition will spend $2 billion on the rebadged Emission Reduction Fund to help Australia meet its 2030 Paris agreement emissions reduction target. Mr Morrison said Snowy 2.0 was "shovel-ready" and would be one of the first to be funded under the government's scheme to underwrite new power generation. It was due to deliver power by 2024-25. 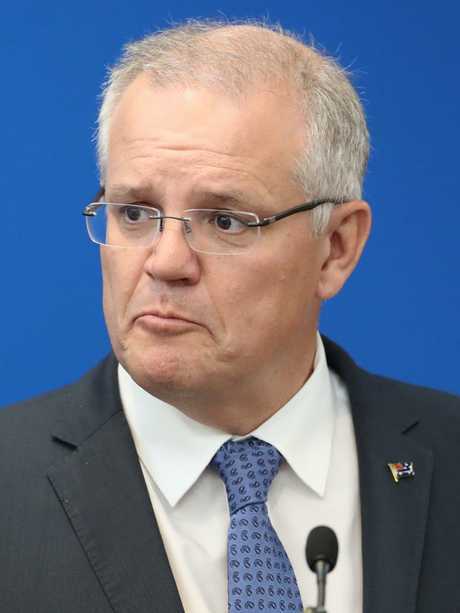 "Snowy 2.0 will inject the energy supply and reliability our electricity market needs, helping cut costs to families and businesses and cut Australia's emissions," he said. There had been question marks over the future of former prime minister Malcolm Turnbull's pet project with Coalition backbenchers including Craig Kelly and Barnaby Joyce vocal sceptics on its ­viability and hefty price tag. Independent modelling conducted by Marsden Jacob Associates found that Snowy 2.0 would reduce the average spot price of power on the wholesale market by up to 10.2 per cent in NSW. Energy Minister Angus Taylor said the government had always promised the expansion would only get support if the figures added up. "The government has reviewed the project's business case and is satisfied that the project stacks up and will benefit energy consumers and the Snowy Mountains region," he said. Snowy Hydro chief executive Paul Broad said it had taken almost two years of rigorous engineering, financial and market modelling to get to this point. "With more intermittent generation coming online, Snowy Hydro will play an increasingly critical role to keep the lights on," he said. Last year, as Treasurer, Mr Morrison clinched a $6 billion deal with the NSW and Victorian governments to lift the federal government's stake in Snowy Hydro Limited from 13 per cent to 100 per cent. The government will provide $1.38 billion through an equity investment, with the project boosting the value of the government-owned company. The remainder of the project, which was expected to cost $3.8 to $4.5 billion to complete, will be financed by Snowy Hydro Limited. The 2000MW development increases the generation capacity almost 50 per cent. The original network of dams and power stations completed in 1974 cost about $820 million to build. It will create up to 2400 construction jobs and support up to 5000 direct and indirect jobs across the region. On Monday, Labor leader Bill Shorten accused Mr Morrison of implementing Tony Abbott's climate policies. "This is the policy you have when you don't want to do anything about climate change," he said.